As a Hudson Valley wedding photographer, I love to take advantage of the light. Like this late day light at Kara and Jason’s Millbrook Winery wedding. You know what I’m talking about. It’s the light that drew creative people to the valley generations ago. Spawned a whole school of thought devoted to painting it, to capturing it. Attempting to bottle the emotion people felt when in its presence. 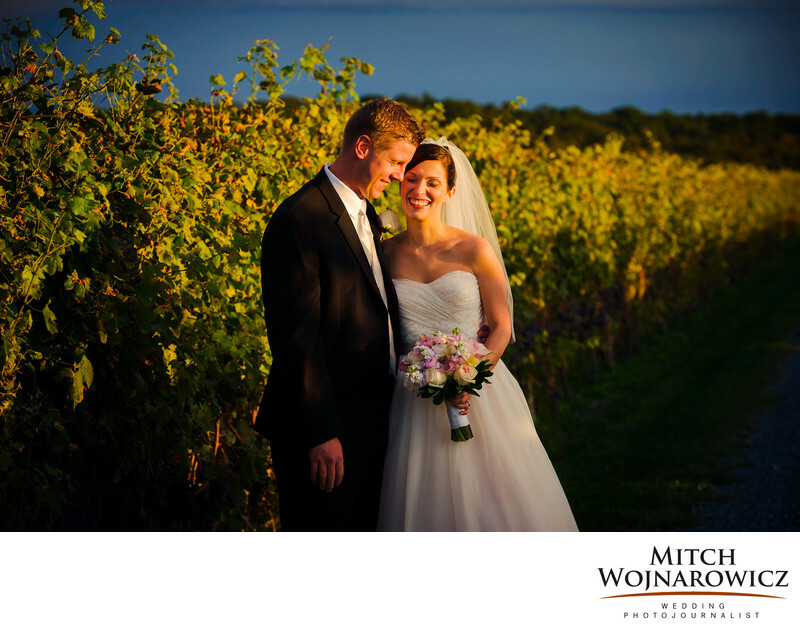 At this Millbrook winery wedding reception, I took our bride and groom out late in the day for just a few minutes. The light sweeping through the Catskill mountains raced across the broad river valley, into our small piece of the landscape. And they smiled in its warmth. Keywords: hudson valley (24), millbrook (3).